Khenchen Palden Sherab Rinpoche was interviewed at his home at Padma Samye Ling by Ann Helm and Pema Dragpa in January 2006. He spoke about some of the lineages that he holds and his primary teachers, and he shared many wonderful stories. This article is excerpted from those interviews. Of course, all Buddhist lineages come from the Buddha—this is the same for everyone. Buddhism includes both the Sutrayana and Tantrayana. The Sutrayana includes Vinaya, Abhidharma, and all the sutras. All of these teachings came from India to Tibet in the 8th century, when King Trisong Deutsen, Guru Padmasambhava, and Shantarakshita established them there. All of these teachings continue to be completely intact through the present day. 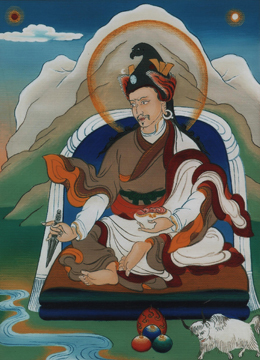 As for the tantra teachings, it was mostly Guru Rinpoche and Panchen Vimalamitra who brought them to Tibet, including some that are particularly important for the Nyingma school, such as the teachings of the Eight Great Indian Vidyadharas—Nagarjuna, Prabhahasti, Dhana Sanskrita, Rombhuguhya, Shantigarbha, Humkara, Manjushrimitra, and Vimalamitra. In brief, the Tantrayana includes lineages of the Outer Tantras of Kriya, Upa, Yoga, and the Inner Tantras of Maha, Anu, and Ati. After Guru Rinpoche left Tibet, these lineages continued through his many disciples. The Nyingma school always says that the oral transmission lineage of kama comes through “Nyak, Nub, and Zur.” This refers to Nyak Jnana Kumara, Nubchen Sangye Yeshe Rinpoche, and Zurchen Shakya Jungne. Zurchen Shakya Jungne transmitted his lineage to his disciple Zurchung Sherab Drak, who then transmitted it to his son, Sangdak Drophugpa, who was the “third Zur.” From these great lineage masters, all of the teachings were preserved and continued in an unbroken way up to the present time. These lineages include all of the Nyingma kama teachings. Around the 14th century, Kunkhyen Longchenpa held and preserved all of these lineages as well as others, including many lineages of the Kagyu, Sakya, and Kadam schools. Then about 300 years later, the very bright lineage of Jigme Lingpa continued these teachings. He had visions of Longchenpa three times, and had very high realization. Then particularly in Kham, or eastern Tibet, these lineages passed through Jigme Lingpa’s disciple Dza Trama Drupchen, and on to Jigme Gyalwe Nyugu, which then went to Patrul Rinpoche and others during that time, such as Shechen Gyaltsap, Pema Sang-ngak Tenzin, Gyalse Shenphen Thaye, and Dzogchen Khenpo Pema Benza. All of these lineages then continued through Jamyang Khyentse Wangpo and Jamgon Kongtrul Lodro Thaye. At that time, especially in Kham, the Nyingma, Kagyu, and Sakya lineages shared so much with each other that the lineages brightly flourished. There were so many scholars and siddhas then. The First Khyentse looked like a Sakyapa, but around that time it didn’t matter whether you were Nyingma, Kagyu, or whatever—everything was so connected. Similarly, the First Kongtrul outwardly appeared like a Kagyupa, but in Kham the Sakya, Kagyu, and Nyingma lineages were all being studied and practiced together. This is what some people call, “Ri-me,” or “nonsectarianism.” Actually, Ri-me is like this [Rinpoche intertwines all of his fingers together] where you study and practice all these lineages, and receive their particular empowerments, transmissions, and instructions. In brief, all of the Eight Great Chariots, or eight main schools of Tibetan Buddhism, are mutually respected and practiced together according to their individual lineage teachings. Among the Nyingma monasteries in eastern Tibet, (1) Katok is ancient; it was founded in the 12th century. Katok had the Nyingma teachings of the kama, terma, and pure vision lineages, but it mostly held the kama lineage, and the terma a little less. Afterwards, (2) Palyul Monastery was established in 1665, and around the same time, (3) Dzogchen Monastery was founded by Pema Rigdzin, followed by (4) Shechen Monastery in 1695. These are the four major Nyingma monasteries in eastern Tibet. All the lamas of these lineages were very much connected to one another, including all the Kagyu lamas at places such as Palpung Monastery in Kham. One way that I fit into these lineages is through Jigme Lingpa, who had many disciples, such as Dza Trama Lama. This is just one lineage, but there are so many lineages through so many disciples, and they are all very much connected to one another. Afterwards, for example, there are the lineages of Patrul Rinpoche, the First Khyentse, and the First Kongtrul, which continued through their disciples, including Mipham Rinpoche. One of the main lineages I hold is that of Mipham Rinpoche. His lineage is mostly a kama lineage, or perhaps you could say a shedra or scriptural lineage. I trace my connection back to Mipham Rinpoche through one of his direct disciples, Khenpo Kunpal, as well as Katok Situ Chokyi Gyamtso, who was the head lama of Katok Monastery at that time. Khenpo Kunpal passed the lineage to Khenpo Lekshe Jorden of Katok Monastery. Khenpo Jorden was at Katok in the early 20th century at the same time as the famous master Khenpo Ngakchung. From Khenpo Jorden, the Mipham lineage passed to Khenpo Nuden; from Khenpo Nuden to Thubten Ozer Gyaltsen and Getse Gyurme Tenpai Namgyal, then to my main teacher, Khenpo Tenzin Dragpa. Most of the khenpos I just mentioned after Khenpo Kunpal lived at Katok Monastery around the same time, and Tenzin Dragpa received teachings from all of them, so my Mipham lineage comes through Katok. My main teacher’s given name was Tenzin Dragpa, but he was also called Khenpo Ashe, Khenpo Ashu, and Pema Rangdrol. He is called Ashu only in the area of Nyarong. I met Khenpo Ashe when I studied at the shedra of Riwoche Monastery. Riwoche is very large, and is the main Taklung Kagyu monastery in Kham. The way that Khenpo Ashe came to Riwoche goes back to the late 19th and early 20th centuries. At Riwoche, there were three high lamas who held the rank of kyabgon or His Holiness—Jedrung Rinpoche, Phakchok Rinpoche, and Shabdrung Rinpoche. 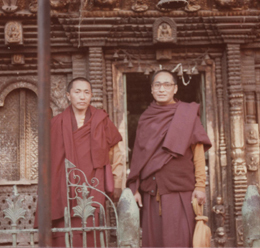 Due to various circumstances, the shedra at Riwoche Monastery was temporarily stopped and Phakchok Rinpoche in particular wanted the shedra reestablished. He decided to invite a very learned khenpo from the Nyingma tradition to direct the shedra at Riwoche. So he wrote to Dzongsar Khyentse Chokyi Lodro for a recommendation. He asked Dzongsar Khyentse to name someone from one of the big Nyingma monasteries, such as Katok, Dzogchen, or Shechen. After Khyentse Chokyi Lodro corresponded with the head of Katok Monastery, Katok Ontrul, Dzongsar Khyentse replied that the best choice would be my teacher, Khenpo Tenzin Dragpa, or as we called him, Khenpo Ashe. He was one of the best younger khenpos at Katok then. In fact, when Khenpo Tenzin Dragpa was sent to Riwoche Monastery, many senior monks at Katok were very unhappy that they were sending away one of their best khenpos. This was my khenpo! So this is how Khenpo Ashe came from Katok Monastery to Riwoche. The way I got to Riwoche is like this: in the Tibetan tradition, sons would do what their fathers had done before them. My grandfather Orgyen Tharchok was a ngakpa and a very important person in the administration of Gochen Monastery. He took a lot of responsibility and was highly respected for what he did there. He was not a philosopher, but he was very skilled in ritual music and chanting, and he knew a lot about performing the rituals. My father, Lama Chimed, also learned these chants. He was not as expert as grandfather, but he learned them very well. So, I followed in my father’s footsteps. When I was young I learned the alphabet and how to read. Around Gochen I became quite famous for being able to read very fast. Everybody said I was a little crazy, but at the same time they were very nice to me. We heard that the Riwoche shedra was looking for new students from a chief in the Doshul area named Yangchen Paldron, who was loved by everyone. She asked our father, who was an administrator of Gochen Monastery, if it would be okay to send me to train at Riwoche and return to Gochen and become the Khenpo there. For generations, our family was known as being very well educated and was closely connected and important to Gochen monastery, and everyone thought that I was the right person to be sent to the shedra. I was not the khenpo of Gochen Monastery when I went to Riwoche, but I was expected to become the khenpo. So I was sent to Riwoche Monastery to study at the shedra. I studied at Riwoche for five years before the Chinese came, primarily with Khenpo Ashe. It was with him that I studied many texts of philosophy, astrology, medicine, and a little Sanskrit—I mainly studied the major scriptures. This is how I have a lineage connection through Katok. 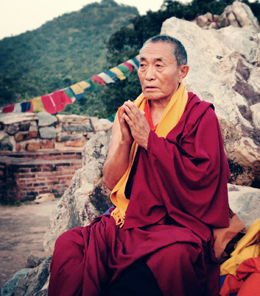 It is not so much a connection with that particular monastery as the scriptural lineage that came down to Khenpo Ashe from Mipham Rinpoche, as well as the scriptural lineage he had received from the great Katok Khenpo Ngakchung. From my root lama, I also received all of Longchenpa’s Seven Treasuries (Tib. mdzod bdun), three volumes of Rongzompa’s teachings, and the teachings of Katokpa Dampa Deshek, the founder of Katok Monastery. Also in connection with Katok, my root lama gave me the teachings of Getse Mahapandita. There were many great lamas at Katok. In brief, we can say that I received the Katok lineage. I would say that Khenpo Ashe is my root lama, but I have many root lamas, like H.H. Dilgo Khyentse Rinpoche, H.H. Dudjom Rinpoche, and others. Some people say we can have only one root lama, but I think we can have many. 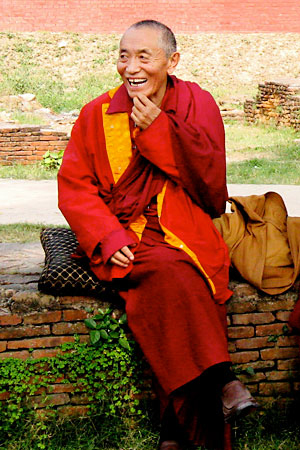 Someone who gives empowerment, transmission, and pith instructions is a root lama. But Khenpo Ashe was particularly kind to me. Before I met him I did not know the Dharma, and he taught me and helped me for many years. In Riwoche Monastery, there are three departments: the (1) Sarma Dratsang, (2) Nyingma Dratsang, and (3) Dratsang Dratsang. These three monastic colleges were always competing with one another, trying to prove who was better. Khenchen Rinpoche was placed in the Sarma Dratsang, when he came to Riwoche. The Nyingma Dratsang had another good student who was very smart. According to the Vinaya teachings of the Buddha, at the end of the Yarney three-month retreat, practitioners have a Gakye ceremony for releasing the summer retreat rules, and everyone has a party. Gakye means to “open or lift the restrictions.” The night just before the end of the summer retreat, it is traditional that all of the shedra students from all of the three departments gather and some of them give Dharma talks on what they’ve been studying. This is a big traditional ceremony that lasts all night until dawn the next morning. In order to talk during these concluding ceremonies, you have to sign up and request permission in advance, since there may be many monks who want to talk. 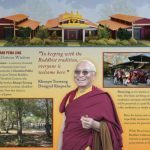 About a week before the ceremony, Khen Rinpoche decided with his friends that he would talk, but he didn’t sign up or let the administrator know because he wanted it to be a surprise. Behind the scenes, they secretly organized everything. That night there was such a big audience—there were many tulkus and khenpos, and about one hundred monks and two hundred lay people who came to hear the final talks of the summer retreat, and to give offerings to the monks who had been studying. The entire room was completely bright from all of the butter lamps that had been offered. After everyone completed the Gyunchag Sumpa ceremony of purification, prostrations, and recitation of certain Vinaya sutras, some monks asked if Khen Rinpoche had already given his name to the monitor, and he didn’t say anything—he just sat there. 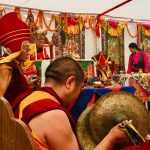 According to the ceremony, right after everyone chants a long mandala offering and the head khenpo opens the event with a few auspicious words and prayers, the first person on the list has to get up and begin their talk. 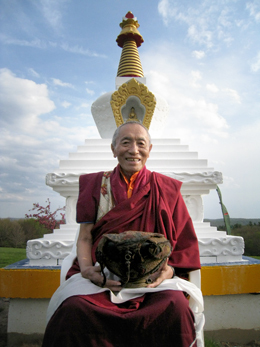 During the long mandala offering, Khen Rinpoche noticed that the smart student from the Nyingma Dratsang began moving around as if he was about to stand up, but before he could, Khen Rinpoche immediately stood up, put his small monk’s robe on the floor, made three prostrations to the shrine, and then stood there. The mandala offering wasn’t even finished yet! Khen Rinpoche later told me that for a few moments he was a little nervous because he didn’t know what he was going to say, but then he began by praising the Buddha and all the great Indian and Tibetan lineage masters. He talked about how the Buddha previously developed bodhichitta and accumulated merit, and how he came into this world and reached enlightenment in the context of his twelve deeds. The Buddha’s principle deed was teaching the Dharma, so Khen Rinpoche continued by explaining the scriptural lineage (lung tenpa) and realization lineage (tokpa tenpa) of the Buddha’s teaching. The scriptural lineage includes the three turnings of the Wheel of Dharma according to the Buddha’s own words and according to the main Indian and Tibetan commentaries on the Buddha’s teachings. The realization lineage discusses how to apply these teachings in meditation and practice. Khen Rinpoche then discussed the history of how these lineages developed and spread in India and Tibet. When the lineages of scripture and practice are combined together, they are understood in terms of ground, path, and result. The ground is divided into relative truth and absolute truth, the path is divided into the two accumulations of merit and wisdom, and the result includes the dharmakaya and the rupakaya. 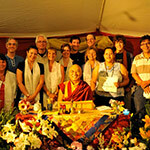 Khen Rinpoche discussed each of these topics in detail. He also talked about how in general, there are two types of religion: Buddhist and non-Buddhist. Non-Buddhist religions are mostly based on five ancient Hindu systems that believe in either realism or nihilism, or a combination of the two. 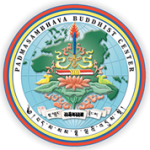 In contrast, Buddhism can be divided into the four schools of Vaibashika, Sautrantika, Mind-Only, and Madhyamaka. The final result of studying and practicing Buddhism can be summarized according to the three, four, or five kayas, and the five wisdoms, and can be understood in terms of two categories: the vast and the profound. 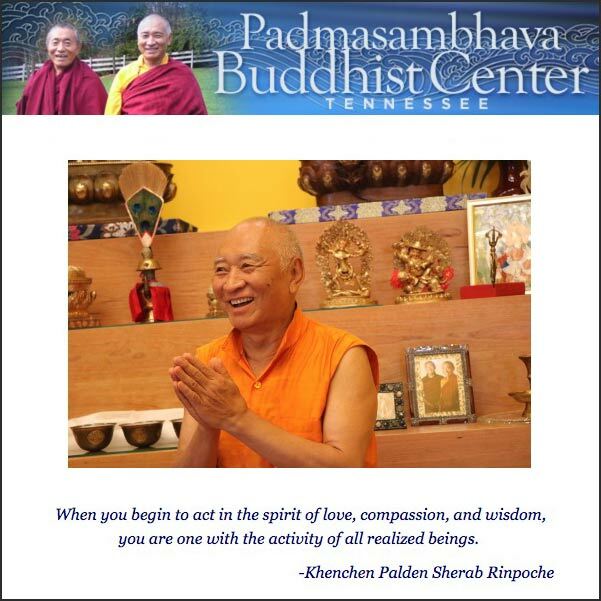 Khen Rinpoche taught the subtle points of all of these topics, and thoroughly discussed the nature, characteristics, and distinctions of everything he talked about. His teaching was mainly based his talk on Longchenpa’s Treasury of Doctrine (sdrub mtha’ mdzod) and Mipham Rinpoche’s Gateway to Knowledge (mkhas ’jug), as well as Longchenpa’s Treasure of WishFulfillment (yid zhin mdzod), a Vinaya sutra known as the Beautiful Lotus Garland, Chandrakiriti’s Entrance to the Middle Way (Madhyamakavatara), Nagarjuna’s Root Verses on Madhyamaka (Mula-madyamaka-prajna), and teachings by Shantarakshita and Acharya Bhavya. Khen Rinpoche talked for a long time. In fact, he talked for so long that the monitor had to ask him to pause so that everyone could go to the bathroom. After everyone returned, Khen Rinpoche continued his Dharma talk, and again he talked for so long that the monitor asked him to pause so that everyone could take another break! This happened three or four times, so he really ended up talking all night long for about six or seven hours! Khen Rinpoche still had more to say, but dawn was about to come, so he stopped. Traditionally, the sunlight of dawn marks the official conclusion of the ceremony. Everyone was amazed. People said that he must not be just a regular man, but that the famous dharmapala Jowo Zegyal near Gochen Monastery must have entered into his heart and brain! The head abbot and Khenchen’s main teacher, Tenzin Dragpa, was laughing, he was so pleased. Everybody in the Sarma Dratsang was also very happy because Khen Rinpoche had represented their department so well. The Gochen villagers who went to the ceremony were talking so much about how Lama Chimed’s son, Palden Sherab did so well! Everyone was so proud. I was able to complete my studies at Riwoche, and then my family and I went to India. I never became the khenpo at Gochen Monastery, but I was considered to be very learned while I was at Riwoche. Everybody in my class said I was very good. My classmates would come to me and ask me to teach them, to explain what the texts were saying, but I was not officially one of the teachers. When we were out of Tibet in a refugee camp in Kalimpong, many people wanted to study the Perfection of Wisdom Sutra (Prajnaparamita), someone else wanted to study Mipham Rinpoche’s commentary on Chandrakirti’s Entrance to the Middle Way (Madhyamakavatara), and some people wanted the Root Grammar in Thirty Verses (Sumtak). Before long I was teaching every day. Then my family and I moved to Darjeeling for about six months. There I taught Shantideva’s Way of the Bodhisattva (Bodhicharyavatara), the Sumtak grammar, Mipham Rinpoche’s Sherdrel Ketaka, which is his controversial commentary on the ninth chapter of the Way of the Bodhisattva, and Mipham’s Beacon of Certainty (nges shes sdron me). After that we went to Bodhgaya and then to Tso Pema. Everywhere I went I would end up teaching, which people seemed to appreciate. In 1965 scholars from all four lineages—Nyingma, Kagyu, Sakya, and Geluk—came together in Mussoorie to discuss how to restrengthen Tibetan Buddhism and culture. At that time, the great Lama Khunu Tenzin Gyaltsen Rinpoche was presiding over the gathering as the head teacher. He gave some teachings, mainly on grammar and poetry, and on how to translate Sanskrit into Tibetan. I was also able to personally receive some other important teachings from Khunu Rinpoche at that time. H.H. Dudjom Rinpoche, who was the head of Nyingma school, asked me to go to Mussoorie to represent the Nyingma school. In 1967 he appointed me to go to Varanasi to help found and teach at the Nyingma studies department in the Central Institute of Higher Tibetan Studies. I served as the head of the Nyingma department for 17 years. During that time, H.H. Dilgo Khyentse Rinpoche and many other Nyingma teachers were very pleased with my role in the institute and they asked me to teach on other occasions as well. In addition to kama, I hold many terma lineages. The main lineage I hold is that of Tsasum Lingpa, which I received through Gochen Monastery. Before Gochen was built, Tsasum Lingpa went to Jowo Zegyal mountain and opened the secret door in the mountain—he identified many sacred spots there and encouraged people to circumambulate Jowo Zegyal. Both Khenpo Tsewang and I received all of Tsasum Lingpa’s terma from Gadra Lama Nyima Ozer at Gochen Monastery—he gave us everything related to Tsasum Lingpa. 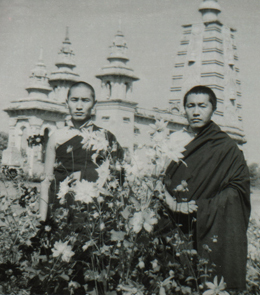 Khenpo Tsewang was very young at the time; I think this was around 1954. Gochen has had many fine lineage holders of Tsasum Lingpa. It was not a center for philosophy, but sometimes khenpos like Sherab Khyentse, Kaltsa Palzang, and Bumchab Norbu would come and hold a small shedra. There were many great lamas connected with Gochen Monastery, like Lama Atsok, Namgyal Norbu, and Mondak Osal. They didn’t give many teachings, but they were renowned and dedicated hermitage practitioners who inspired me a lot. I received the Chetsun Nyingtik from Lama Atsok. He was a disciple of Sherab Khyentse at Gochen Monastery. My brother, Khenpo Tsewang Dongyal Rinpoche, is a tulku of Sherab Khyentse. In my country, Sherab Khyentse was very famous. He gave so many empowerments, transmissions, and teachings in the Gochen area. I think he was my mother’s grandfather’s brother. My father Lama Chimed was a disciple of Sherab Khyentse. My father received from him the complete cycle of empowerments and reading transmissions of the Treasury of Precious Terma. I think I even remember seeing Sherab Khyentse one time when I was very young. I was with my grandfather on my mother’s side, who was named Maryon Kalzang Wangyal. He used to take me everywhere with him. One time he and I visited Sherab Khyentse at Tsokar Gompa, the Temple at White Lake near Gochen Monastery, where I received blessings from him. I hold many other lineages, such as the terma lineages of Jatson Nyingpo, Karma Lingpa, and Chogyur Lingpa. I received the Vajrakilaya terma of Ratna Lingpa from Dzigar Kongtrul Lodro Rabpel. I did not receive all of Ratna Lingpa’s terma, but I did receive his Vajrakilaya. From Dzigar Kongtrul I also received the First Kongtrul’s Treasury of Knowledge, as well as the transmission of the Longchen Nyingtik. Later on, I received transmission of part of the Longchen Nyingtik from Chatral Rinpoche, as well as the entire cycle of terma of the great tertön Lhatsun Namkha Jigme. As I mentioned earlier, I received all of Longchenpa’s Seven Treasuries from my root lama. From among Longchenpa’s Seven Treasuries, I also received the Treasury of the Basic Space of Phenomena (chos dbyings mdzod) from Nyala Sherab Ozer, who was also called Nya Lama, or Nyarong Lama. He was a disciple of Khenpo Ngakchung, and a very high Dzogchen yogi. I received this when Nya Lama was a very old man. In Riwoche, I received both oral transmissions and commentaries on the Guhyagarbha Tantra from Khenpo Tenzin Dragpa in the form of Kunkhyen Longchenpa’s great commentary entitled Chokchu Munsel, and in India from H.H. Dudjom Rinpoche and H.H. Dilgo Khyentse Rinpoche. I also hold many transmissions from the Kagyu lineage. From the tulku of Jedrung Champa Jungne at Riwoche Monastery I received many transmissions of the Taklung Kagyu, such as Chakrasamvara, Hevajra, and Vajravarahi. He also gave all the empowerments, reading transmissions, and oral instructions of Mipham Rinpoche’s Yamantaka called the Lord of Life (gshin rje gshed tshe bdag), which came from Dumgya Shangtrom. The first Jedrung Rinpoche was a great tertön and master of the Kagyu and Nyingma lineages. One of his disciples was Kangyur Rinpoche, who transmitted all of Jedrung Rinpoche’s terma to me. From Riwoche Khenpo Dragpa Jangchub I received a large number of transmissions of teachings of the Kagyu and Nyingma lineages, as well as general Buddhist teachings like the Prajnaparamita Sutra. He transmitted many short teachings, including the Seven Chapter Prayer (le’u bdun ma) and the Diamond Sutra (rdo rje gcod pa), as well as most of the Sky Teachings (gnam chos) of Migyur Dorje. I also received part of the Sky Teachings from His Holiness Penor Rinpoche. From Dudjom Jigdral Yeshe Dorje I received most of the transmission of the Nyingma kama, as well as the entire Treasury of Precious Terma. I also received part of the transmission of the Rinchen Terdzo from H.H. Penor Rinpoche, in Washington D.C. From Dudjom Rinpoche I also received all the empowerments, reading transmissions, and oral instructions of the Dudjom Tersar, which includes terma from himself and his previous incarnation, Dudjom Lingpa. Another Tersar collection I received is the Chokling Tersar. I received most of Chogyur Lingpa’s terma from Dilgo Khyentse Rinpoche when I was in India. I have also received many empowerments, transmissions, and instructions from His Holiness the 14th Dalai Lama, including Kalachakra and many other Kadam teachings. I also received Mipham Rinpoche’s Kalachakra lineage from H.H. Penor Rinpoche in New York in 2007. As for the Chetsun Nyingtik, as I mentioned before, I first received it at Gochen Monastery from Lama Atsok. I also received the reading transmission for the Chetsun Nyingtik from Mipham Rinpoche’s tulku at Katok Monastery. He also transmitted to me Mipham Rinpoche’s Tantric Peaceful Manjushri (rgyud lugs ’jam dpal). I received the Chetsun Nyingtik from His Holiness Jigme Phuntsok as well when he came to New York City in the 1990s. In terms of other Nyingtik teachings, I also hold the transmission of Jigme Lingpa’s Nyingtik Tsapo from Dilgo Khyentse Rinpoche and Dodrupchen Rinpoche, and I received the Nyingtik Yabshi in Tibet from my khenpo, Tenzin Dragpa. All of Buddha Shakyamuni’s and Guru Padmasambhava’s teachings are extraordinarily special. In particular, I really like Mipham Rinpoche’s lineage. His view is nothing other than the ancient Nyingma lineages of kama and terma. I particularly like the scholarly approach followed by Mipham Rinpoche, Rongzompa, and Longchenpa. Their lineages are important because they fully embody Nyingma view, which is so wonderful. If we look at the entire history of Tibetan Buddhism from generation to generation, sometimes certain lineages are stronger and at other times they’re weaker. For example, during the time of Minling Terchen in the late 17th century, some of the Nyingma lineages became stronger, but then later in central Tibet the Nyingma teachings were almost gone. The Nyingma scholarly lineage had almost died out when Mipham Rinpoche revitalized it in the 19th century in Kham. In particular, the work of Khyentse Rinpoche, Kongtrul Rinpoche, and Mipham Rinpoche revived the Nyingma teachings so strongly. Khyentse Rinpoche and Kongtrul Rinpoche were so kind to future generations in the way they collected and continued so many kama and terma lineages by giving their empowerments, transmissions, and pith instructions. If they had not done this, all those teachings and practices would now be gone. 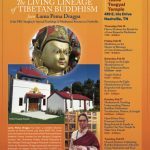 Now when we look back, we can see that just before Khyentse Rinpoche and Kongtrul Rinpoche came, all of the Tibetan Buddhist lineages were in danger of being lost; not only Nyingma or Kagyu, Sakya, Geluk, or Kadam, but all of Tibetan Buddhism—all of the Ten Great Pillars of the Study Lineage (bshad rgyud ‘degs pa’i ka chen bcu) and the Eight Practice Lineages (sgrub rgyud zin pa’i shing rta che brgyad), everything. But the First Khyentse and First Kongtrul worked so hard to receive and preserve all the practices and teachings of every lineage of Tibetan Buddhism. This was so kind. And not only did they collect these teachings, but they really practiced them and gained accomplishment. For example, through his wisdom, the First Khyentse was able to rediscover the termas of even the lineages that had completely disappeared—and not only the texts, but all the empowerments, transmissions, and oral instructions! And Kongtrul Rinpoche was able to put all of these teachings together perfectly. It is said that just before a butterlamp completely goes out, it burns even more brightly. Similarly, Khyentse Rinpoche and Kongtrul Rinpoche came just before Tibetan Buddhism was almost finished in Tibet, and were able to collect and preserve so many of the teachings. Since then, many realized scholars have done so many wonderful things it has looked like springtime everywhere! Through their kindness and legacy, the teachings of the Buddha continue to glow. 3. Instructions for adding new prayers to PBC practices.